Say Goodbye to Acne Scars the Natural way! We all, at some point in our lives, have suffered from acne. However, if you don’t want to undergo chemical treatments to get rid of them, home remedies from your kitchen can effectively come to your rescue too. 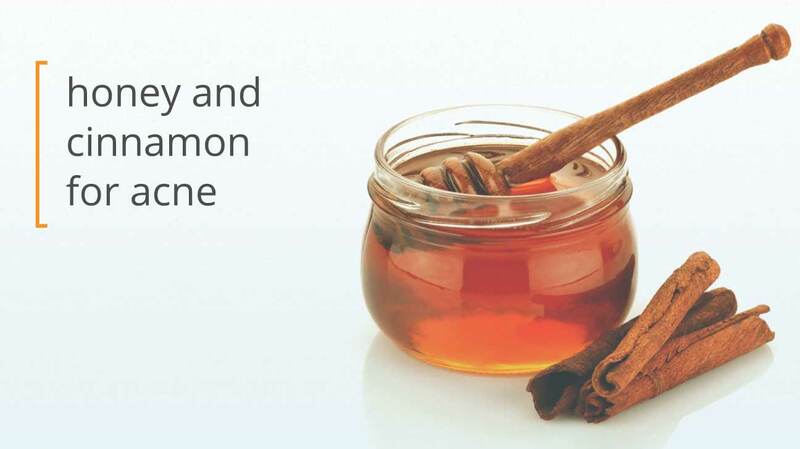 Using cinnamon powder helps boost new skin cells resulting in skin regeneration. Combine a teaspoon of cinnamon powder with two teaspoons of honey and apply using an upward circular motion with your hands on clean, moist face. Wash off after 15 minutes with warm water. Repeat the cycle twice a week. Apple cider vinegar is a great natural toner. Its antibacterial properties help keep acne under control, and the malic and lactic acids found in it soften dry skin along with providing the much-needed exfoliation to reduce red spots. Take a tablespoon of apple cider vinegar and two teaspoons green tea, 5 tablespoons of sugar and a teaspoon of honey. Mix them all together and apply. Keep for 20 minutes and then rinse it off with warm water. Pour some water in a small container and place it on the stove and set it to medium heat. Add 1/2 cup oatmeal and 2 drops of lemon juice to the 1 cup boiling water. This mask helps to exfoliate your pores and cleanse your skin. Leave it on for a few minutes so that it can cool down a bit and then add 1 tbsp cinnamon powder. Wash your face, apply the mask and leave it on for 20-30 minutes. Then, wash your face with lukewarm water and pat the face dry using a soft towel. Apply a bit of moisturiser after rinsing off the mask. Repeat this process once a week for a month and then once a month for the next three months. This homemade mask will eventually reduce acne scars and blemishes. Grate potatoes and extract the juice. Mix it with tomato juice, and a few drops of olive oil and apply on the face. Let the mask sit for about 20 minutes. Repeat once every week. Potatoes are rich in Catecholase, a skin lightening agent, and Tomatoes are rich in Lycopene and Vitamin C which are both really important for a glowing skin. Also, remember that it is not a good idea to use this mask on injured or irritated skin. Eggs contain a considerable amount of protein, and by applying them directly on your skin, you can speak the healing process. Apply egg white on the scars and leave it overnight for best results. Bankrupt Twice, This Start Up Now Serves 100 Customers Per Day! How did Blacks end up as the architects of the word “Cool”?